Skiing in December, January, and March while we were in the USA. 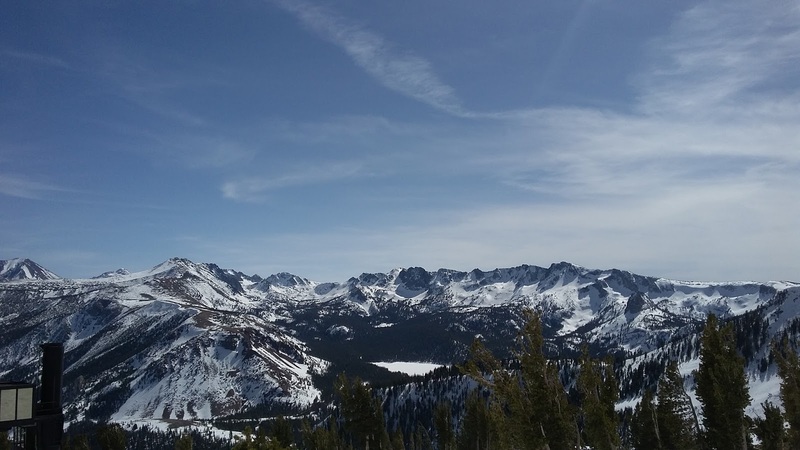 Over the winter we went skiing in Mammoth, Squaw Valley, and Sun Valley. We have turned into fair weather skiers, so you will notice the sunny weather on all ski days. Each time we went skiing we lucked out by arriving after storms that left feet (not inches) of fresh snow and sun shine. Skiing at Mammoth on Christmas Eve. Squaw Valley - This was the third year in a row we have been to Squaw and we have never seen this much snow. This was a record breaking year. 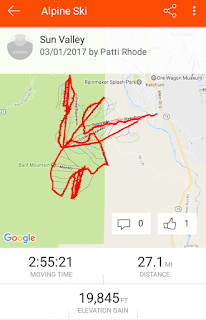 Every chair was running at Squaw so we were able to ski most of the mountain. Previous trips there had been too little snow for many of the runs to be open. This year there were a couple of areas closed because of too much snow. 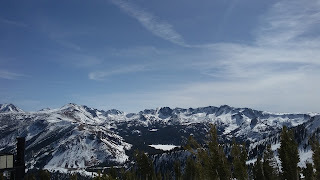 Squaw Valley - On clear days you get views of Lake Tahoe. Driving to Sun Valley we hit snow on Highway 62, only an hour from home. It was the end of February and it was snowing when we left the house. 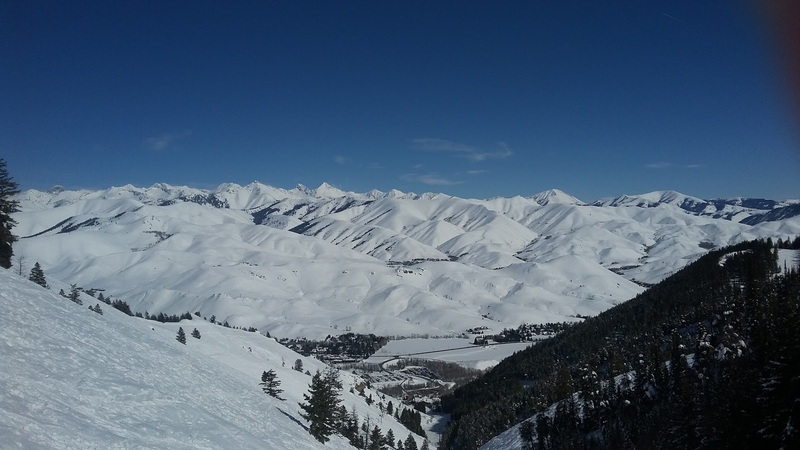 Our first time skiing in Sun Valley and the weather and snow was perfect. The locals said we picked the best two days of the season. 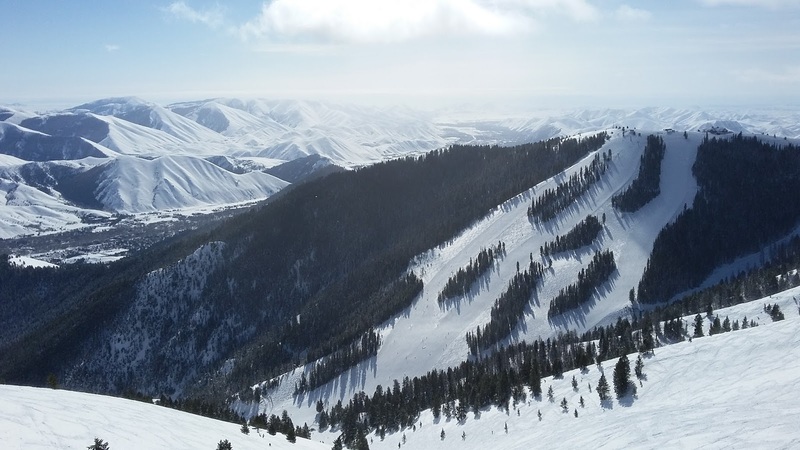 Views on the ridge top at Sun Valley. 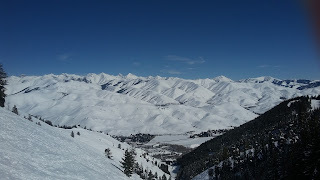 Sun Valley - Looking at Seattle Ridge. We had a really good lunch at the lodge at the top. 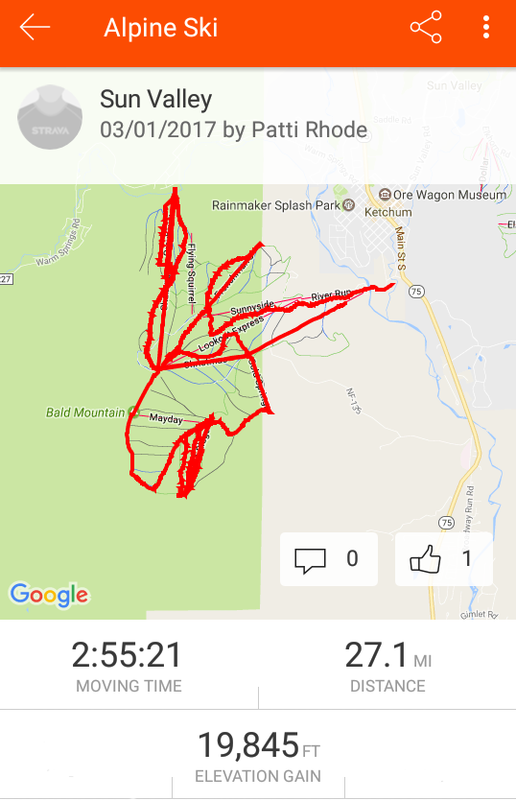 Record of our ski day on the Strava app. Views of the mountains driving home from Sun Valley.